If you are looking for temporary auto insurance in California, things are bound to get confusing; even after a relatively thorough search online, it’s hard to find a conclusive answer to the most basic question: Can I get temporary car insurance in California? And the simple answer is: maybe. Below you will find a brief description of temporary car insurance, why you may or may not be able to get it in California, and a few suggested alternatives if you cannot find it. You have purchased a new car and only intend to own it for a short period of time or need coverage until you decide on more permanent insurance. You are renting a car from a rental dealership or borrowing a friend’s car for a few days or weeks. Yes. 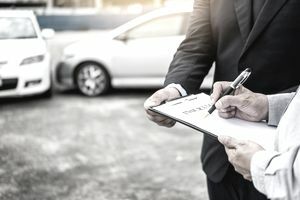 There is nothing in California’s insurance or traffic code that prohibits the sale or purchase of an auto liability policy for a term of fewer than six months or one year. The problem may be in finding a carrier that will write a policy for less than six months. Most, if not all, major carriers will not. If you are looking for a temporary policy and currently carry insurance with a major company, it may be worth making a call to your agent just to be sure. You might also try a smaller online carrier. Purchasing a new vehicle: Under California law, you must be covered by the statutory minimums before you drive off of the lot. If you cannot find a suitable short-term solution, you may have to purchase a six-month policy and then cancel it once you have transferred ownership or found a carrier more to your liking. Also, if you currently have insurance on another vehicle, check your policy or call your agent. It is possible that your carrier will automatically cover the new vehicle for a brief period starting the moment you leave the lot. Renting: Once again, if you cannot find a suitable short-term policy, and you currently have insurance on another vehicle, check that policy. It is likely that it will cover your rental vehicle. Also, check your credit card agreement. Many cards automatically cover you if you pay for the rental with that particular card. If neither of those cases covers you, make sure to opt for the liability coverage offered by the rental company or purchase a non-owner’s policy through an insurance carrier. Remember, California law requires that you are covered by the statutory minimums any time you drive in the state whether you own the vehicle or not. California is the only state that does not require a rental company to provide such coverage automatically. That means the responsibility is yours. Whatever your choice, make sure you are fully covered before you get behind the wheel. Borrowing: If you intend to borrow a friend’s California registered vehicle, have your friend check his policy. In most cases, his policy covers anyone that borrows the car for a short period of time. If it does not, then you need to look into non-owner’s coverage. Most major carriers will only write non-owner’s policies for a minimum of six months. If you are borrowing the car for several weeks, this may still be the most cost-effective way to go. Need an Extension on Your Car Insurance Payment? It Might be Possible.